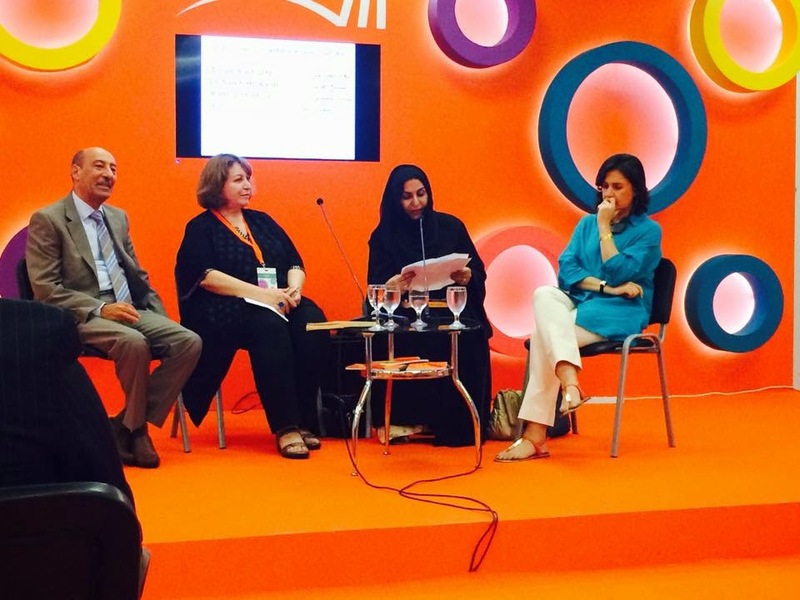 The first day of the Sharjah International Book Fair (SIBF) welcomed a prominent Pakistani author, Kamila Shamsie. Kamila Shamsie, a Karachi-born novelist is the author of six novels including ‘Burnt Shadows’ which was shortlisted for the Orange prize for fiction. She has been nominated for the DSC South Asian Literature prize 2015 for her book ‘A Godin Every Stone’. A wonderful narrative style can be seen in Shamsie’s novels where she writes about places she’s never been to. “As a writer, writing about places made sense to me. I discovered that new places can be very familiar” said Kamila Shamsie while discussing about geography of places in the narrative text at the SIBF. Shamsie believed that Karachi was the only place she would write about. But it was only when by chance that she discovered she wanted to be a writer who discovered places through writing about them. “Then I became in some ways the opposite kind of writer to whom I’ve been before. I went from being someone who looked to the world around me and tried to find a way to turn that reality into imagination to someone who had to imaginatively enter places I didn’t know and put them into my novels” said Shamsie. Talking about her novel ‘Burnt Shadows’ where the story ventures through Pakistan, Afghanistan, New York, India and Japan in 1940’s, Shamsie said “I’ve never been to Japan and even if I had there’s no way of going to Nagasaki in 1945. When I was writing about Japan, I was looking about the temperature in August in Nagasaki, what flowers were there. And one of the flowers that grew there plentifully was Azaleas. And I had written many scenes in which the couple is walking around the Azaleas quite romantically”. Shamsie thinks that place is completely central to a novel and a really good novel will transit in places. While advising young writers, Shamsie said that before writing anything, reading is more important. “Read books you think you aren’t interested in because in the end you might realize what looks unappealing ends up becoming what you’re most interested in”. The writer is a first year undergraduate Media & Communication student.